Congratulations astronomers and Neptune for the discovery of a fourteenth moon orbiting the planet. Hooray! Maybe there is water there frozen somewhere in the yet-to-be named satellite's crust. And so from there, with a little luck and the formation of an atmosphere, perhaps provided by the warmth of the Sun becoming a red giant, we will have another possible place to colonize once we have destroyed Earth! Check out the full story of number fourteen's discovery at Number 14. 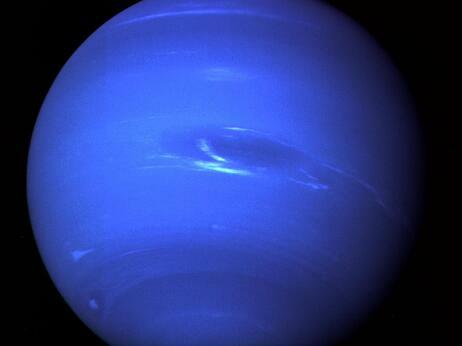 But make sure to cast a vote (via comment to THIS post) on a name for Neptune's baby! I wonder what the child number limit for government assistance is in our solar system.